Where: Cadogan Hall 7.30 p.m.
Where: Douai Abbey 7.30 p.m.
Ticket/Info: £15 (£5 for under 18s) and are available online from www.ceciliaconsort.org.uk, Tel: 07775 743445. What: "Stay with me, under my coat" - A mixed programme of choral music ranging from Palestrina to Sandstrom, on a theme celebrating love and beauty. 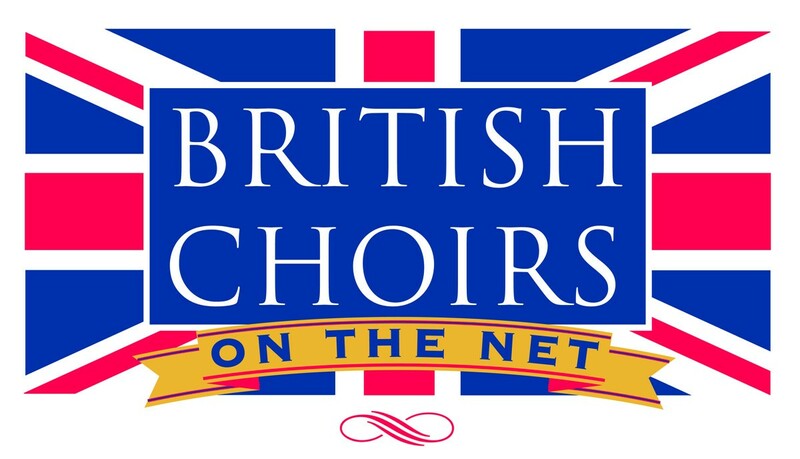 Where: Jesmond URC, Burdon Terrace, Newcastle upon Tyne, ​NE2 3AE 7.30 p.m.
Where: St Mary’s Church, Wimbledon Village, SW19 7BP 7.30 p.m.
Ticket/Info: £15/£10 on the door or email music@stmaryswimbledon.org. Where: St Michael´s church, Windhill, Bishop´s Stortford, CM23 2ND 7.00 p.m.
What: "By the Riverside?" choreographed to Aaron Copland´s Old American songs. Also madrigals and part songs and Paul Mealor´s "Four Rose Songs"
Where: Invicta Grammar School, Huntsman Lane, Maidstone ME14 5DS 5.00 p.m.
What: ‘Party to Remember’ - Join us for 1918-style street party. Help celebrate the end of the Great War and remember those who laid down their lives. Cake, tea and wine for sale. Bring your own food! Where: The Crossing, Newcastle Street, Worksop, S80 2AT 7.30 p.m.
Where: St Alfege Church, Greenwich 7.45 p.m.
Where: Cheltenham Town Hall, Imperial Square, Cheltenham GL50 1QA 7.30 p.m.
What: Roger Shelmerdine - We Will Remember Them (Premiere) (In aid of Sale & Altrincham Christie’s support group). Ticket/Info: £10 | £5 for under 16s via http://www.readingphoenixchoir.com/tickets/ In aid of ABF, The Soldiers’ Charity. What: Sasha Johnson Manning - Songs of the Soldier; John Ireland - Greater Love Hath no man; Henry Balfour Gardiner - Evening Hymn; plus hymns and popular songs of the time. Where: St John´s Church, Wentworth Street, Wakefield WF1 2QU 7.30 p.m.
Where: St Ann’s Church, Breamish Street, Newcastle upon Tyne NE1 2DD 7.30 p.m.
Where: Exeter Cathedral 7.30 p.m.
Where: St Laurence’s Church, Frodsham 7.30 p.m.
Where: Queens’ College Chapel, Cambridge 7.30 p.m.
Where: Blackburn Cathedral 7.00 p.m.
Where: Wells Cathedral 7.00 p.m.
Where: St David´s Hall, Cardiff 7.30 p.m.
*Plus an optional £1 postage fee. Where: St Edmund & St Mary Church, High St Ingatestone CM4 9DU 6.00 p.m.
Ticket/Info: Free - Retiring collection for church organ repairs. What: Stars and Space ï¿½ a sparkling evening of music, including excerpts from Haydn’s Creation, ‘Sure on this Shining Night’ by Samuel Barber, and Randal Thompson’s moving adaptation of Robert Frost’s poem ‘Choose Something Like a Star’. Ticket/Info: Adults £8; Students £5; Under 18s Free - available on the door or from Yorkshire College of Music and Drama (0113 2431605). For more info see www.horsforthchoralsociety.co.uk. Ticket/Info: £20, £16 and £12 for adults (under 16s are half-price) and are now available now from the Gulbenkian Box Office by phoning 01227 769075 or visit the website www.thegulbenkian.co.uk. Further details of Ashford Choral Society's 2018-2019 concerts are on www.ashfordchoral.org.uk. Where: Bolton Road Methodist Church, Bury, BL8 2EH 7.30 p.m.
Where: Salford Cathedral, Chapel St, M3 5LE . 7.45 p.m.
Where: St Luke & St Teresa's Church, Wincanton 7.30pm. What: "The Water is Wide"
Ticket/Info: £12, are available from 01963 350160, from tickets@spectramusica.co.uk or on the door. Where: Tewkesbury Abbey GL20 5RZ 7.00 p.m.
Where: St George´s Church, 1 Westbourne Crescent, Edgbaston, Birmingham, B15 3DQ 7.30 p.m.
Ticket/Info: £14, available from Eventbrite (booking fee applies). Concessions also available on the door. Ticket/Info: £20 (unreserved), £5 (children and students in full-time education). Ticket/Info: £10 - £20, concessions, from York Minster box office 01904 552700, yorkminster.org or on the door. Where: St James Ecumenical Church, New Bradwell, MK13 0DA 7.30 p.m.
Where: St Andrew’s Church, Corbridge 7.45 p.m.
What: Ola Gjeilo - Sunrise Mass plus works by Buxtehude, Pedersøn and Grieg. For more details please visit our website at www.antiphonchoir.co.uk. Where: St Paul’s Church, Shipley, BD18 3EH 7.00 p.m.
What: "Baroque Showcase" - pieces by Carissimi, Scarlatti, Vivaldi and Zelenka. Where: St. Michael´s Church, Ford Lane, Coppenhall, Crewe, CW11 3NT 7.30 p.m.
What: Karl Jenkins - The Armed Man - plus other music & readings for Remembrance. Ticket/Info: £12 & £10 concessions - enquiries at info@sandbachchoral.co.uk Accompanied under 16s free. Where: Wimborne Minster 7.30 p.m.
Where: Holy Trinity Church, Sloane Street 7.30pm. Where: St Matthews Church, Clarence Street, Cheltenham 7.30 p.m.
Where: St. Peter´s Church, Ruddington 7.30 p.m.
Where: Chester Cathedral, Chester, CH1 2HU 7.30 p.m.
What: Mistletoe & Wine - An SATB programme of sacred and secular songs and carols with audience participation to get Mid-Bedfordshire into the mood for Christmas. Including Tea, Coffee, Mulled Wine & Christmas treats. Ticket/Info: £5.00 including refreshments are available on the door, by telephone from Ken Jones 01525-753110 or Brian Matthews 01525-841077. Where: St Emmanuel Church, Compton Ave., Plymouth PL3 5BZ 7.30 p.m.
What: Remembrance: A concert to mark the centenary of the end of WW1. John Rutter - Requiem; Gabriel Fauré - Requiem. Where: Caversham Heights Methodist Church, 74 Highmoor Road, reading, Berks RG4 7BG 7.30 p.m.
Ticket/Info: Adults/Concessions £15/£12*; Under 17s £5; Under 5s free. *£1 off tickets purchased in advance. Where: St James's Church Piccadilly, W1J 9LL 7.30 p.m.
Where: St Mary the Virgin, Primrose Hill, King Henry’s Road, London NW3 3DJ 7.30 p.m.
Ticket/Info: £15 concessions (students with card) £10 available from: https://www.jumblebee.co.uk/CamdenChoir_18-11-24 or at the door from 7.00 pm. Where: St Nicolas Church, Guildford GU2 4AB 7.30 p.m.
What: J S Bach - Lobet den Herren; J S Bach - Jesu Meine Freude; plus C15th music by Heinrich Isaac, and taking inspiration from the C12th ethereal chants of Hildegard von Bingham, and the premiere of a new composition by their Musical Director Roy Rashbrook. Where: St Mary´s Church, Church St. Amersham, HP7 0DB 7.30 p.m.
Where: Wantage Parish Church 7.30 p.m.
Ticket/Info: £12.00 (£10 if purchased in advance) Under 16s free. From Vale and Downland Museum, Members of the choir and on the door. Where: All Saints´ Church, Sutton Courtenay 7.30 p.m.
Where: Dunblane Cathedral 7.30 p.m.
Where: Malvern Priory, Church Street, Malvern WR14 2AY 7.30 p.m.
What: J S Bach - St Matthew Passion: arias and choruses in German, with suitable surtitles, but with the chorales in English. Where: The Bakehouse, Bennett Park, Blackheath, London SE3 9LA 7.30 p.m.